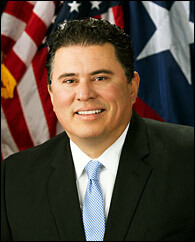 Texas Secretary of State Rolando Pablos announced his resignation effective Dec. 15, according to a Dec. 5 letter to Governor Greg Abbott. Pablos was the 111th to serve as Secretary of State. Read the resignation letter here.